This month, in a bid to try to reduce the amount of unnecessary spending I do on clothes (I have a very bad habit of spotting something I didn’t even know I wanted, and then convincing myself I can”t possibly live without it), I’ve promised myself not to even LOOK at the clothing sections of the retailers I frequent. Unfortunately for my bank balance, I can’t avoid the websites altogether (Well, it would be pretty hard to run a shoe blog without ever looking at the new shoes on offer, wouldn’t it? ), but lately I’m doing my best to just go straight to the shoe section – purely in the name of blog research, you understand – and then leave again when I’m done, without so much as a glance at the dresses, skirts or coats – which are a particular weakness of mine. This all seemed like a good plan at the time, but, unfortunately, it’s still proving something of a struggle, because, as I mentioned earlier in the month, shoes are just SO damn good right now that it’s far too tempting to just switch my spending to them, instead – particularly when the shoes (or boots, rather) in question are just £30. 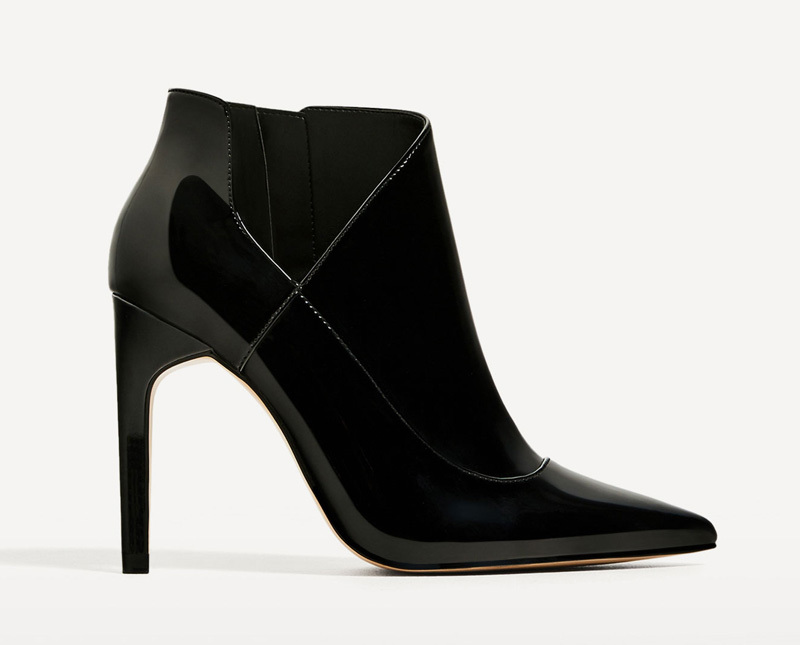 These are from Zara, and if I’d spotted them earlier in the season, I’d definitely have grabbed a pair: I get so bored with wearing boots all the time during the winter, but the black patent uppers on these ones really help dress them up, and make them a little more interesting. 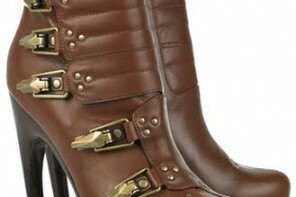 You can’t quite see it from the photo, but these also have a little cut-out section at the ankle, which also helps add a bit of interest, while minimising the “line across the ankle”effect that ankle boots can be prone to.